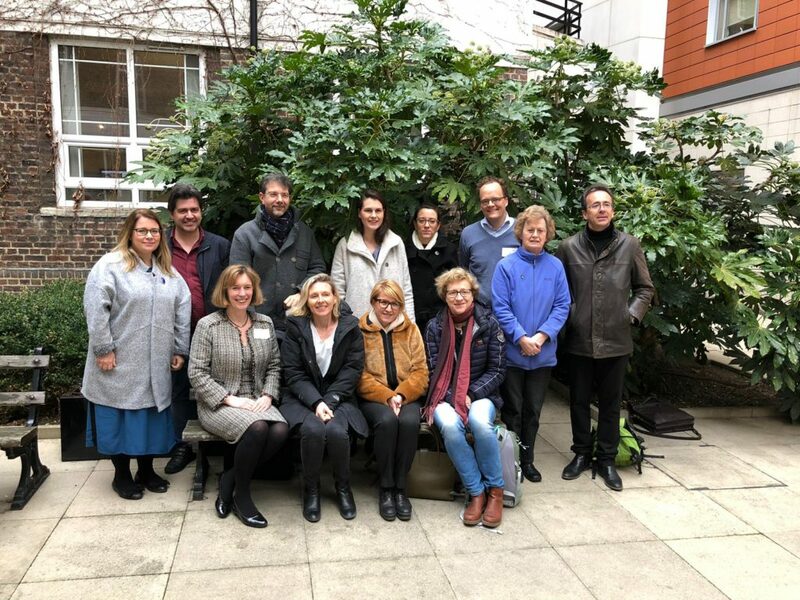 The Hereditary Haemorrhagic Telangiectasia Working Group (HHT-WG) held its 1st face to face meeting in the framework of VASCERN’s 3rd year of activities on the 8th of March, 2019 at Hammersmith Hospital in London, UK. It was hosted by Professor Claire Shovlin, Chair of the HHT-WG, and was attended by 12 HCP representatives (from Denmark, France, Germany, Italy, The Netherlands and the UK) and two European Patient Advocacy Group (ePAG) patient advocates from Germany (Morbus Osler Selbsthilfe e. V.) and the UK (UK Telangiectasia Self Help Group). VASCERN’s meetings are co-funded by the EU Health Programme as part of the Grant that our ERN receives for coordination. Additional guests invited to this event included members of two other European Reference Networks: EuroBloodNet and ERN-LUNG. In the morning HCP representatives had a doctors only session where they discussed several patient cases. Ibrahim Donmez, our IT Helpdesk & End User Support Specialist, was also present to give the group an update on the CPMS as well as the latest features of the newly released version of the system. After lunch the whole HHT-WG and invited guests convened to discuss and advance on the various work packages underway. Detailed discussions were had and presentations given on many topics related to HHT including contraception, pregnancy, pediatrics, novel oral anticoagulants and pulmonany hypertension. The group defined many of their Year 3 priorities and these will be developed in future meetings. In conclusion, this meeting allowed the group to have many fruitful discussion, advance on many of their projects, and define the road map for their third year of activities. We look forward to their exciting outputs in the coming year. First VASCA-WG Patient Pathway now available!